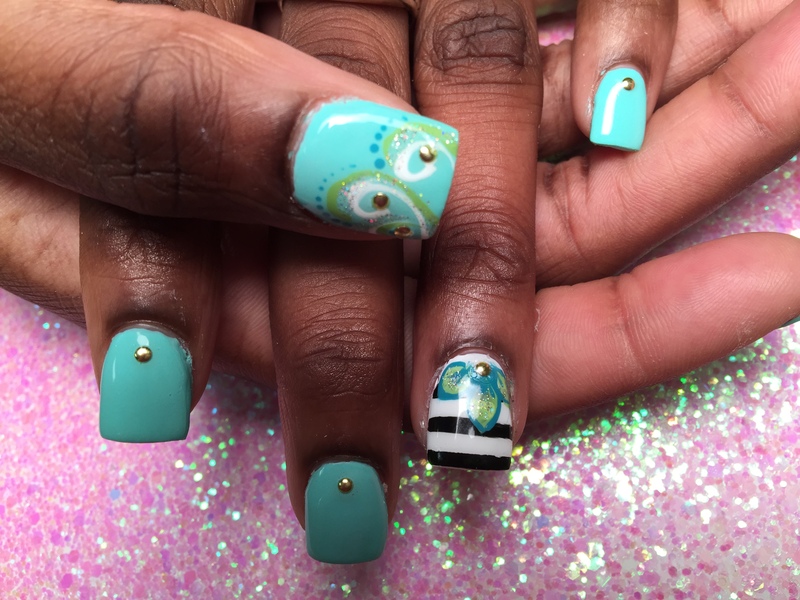 Cameo Stargazer Lily, 3D nail art designs by Top Nails, Clarksville TN. Angled bright pink tip under bright red and white bands, w/shite stargazer lily, black/white swirls, pink dots. 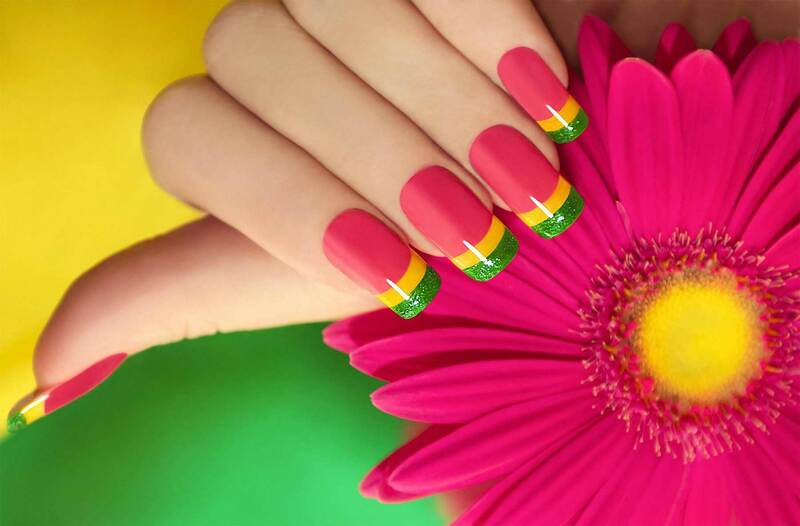 V-shaped opaque white tip with diamond glue-ons OR translucent nail with pink/green daisy and diamond glue-ons. 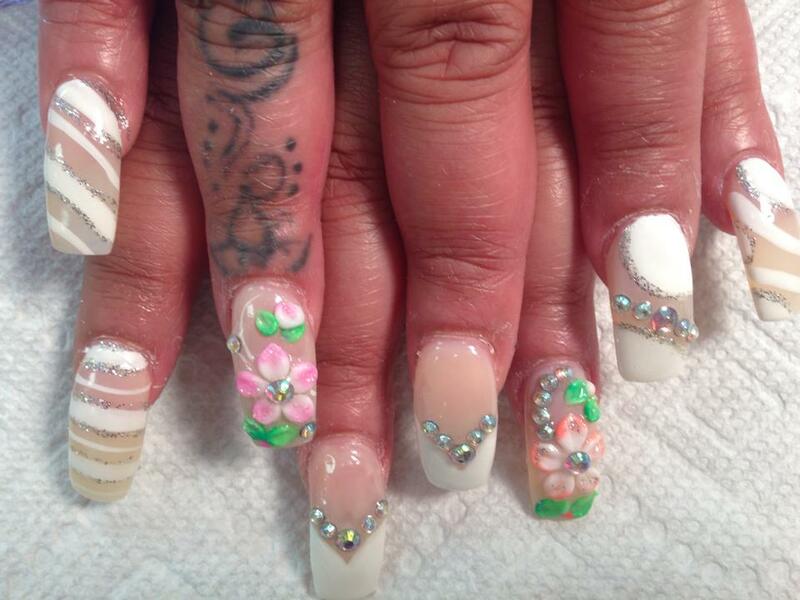 Crystal White Flowers, nail art designs by Top Nails, Clarksville TN. Sparkling crystalline tips with one or two white petal flowers with five petals and black center and white/crystal star swirls.